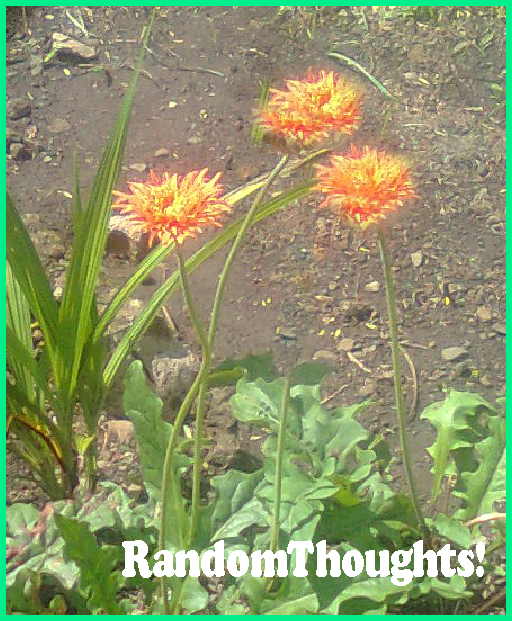 Random Thoughts of Gil Camporazo: Why Three Daisies? In one school day, I saw again the girl whom I met for the first time at the high school campus buying an ice cream from a "sorbetero" (ice cream roller vendor). I came over to her and smiled and greeted her. She smiled at me back. I broke her silence by asking where she lives. She replied, "I live in the Barrio site of La Granja." I nodded and silently noted it. "Wouldn't you mind if I visit you this coming Saturday?" She just laughed and ignored it. I would like to talk to her more to get well acquainted with her when the bell rang for the next class period. We departed ways and proceeded to our respective classes in the morning. Late afternoon of Friday, I importuned my mother to give me money for I needed it without giving her the reason why. (Actually, what could I expect from her for we're poor. There were times that I wasn't able to join with our school activities for I failed to contribute money which was required from us.) She had no money to give me. I didn't bother her, what actually bothering me is my excitement of visiting my new-found friend whom I was fascinated of her charm and mysterious actuations. Well, I looked for the means. I visited the house of my late elder brother, Cesar at Sitio Langka, just straight along the street of San Agustin where we lived. I was certain that Manong Cesar will give me the money that I needed for he's a meat vendor in the market. I told Manong Cesar of my intention of coming over. I said that Nanay wanted to borrow fifty centavos (Php 0.50). He handed me right away the money without asking any question. In fact, fifty centavos (in 1968) were more than enough that I needed. The fare in going to La Granja was only twenty centavos or pesetas. Saturday came. I woke up early in the morning and headed to the terminal of transportation going to La Granja. I took "My Prayer", a regular passenger vehicle plying the route of La Carlota to La Castellana, vice versa (to and fro) since Barrio La Granja was just along the high way. While the car was approaching the Barrio, I kept on craning my neck to see ahead the Barrio Site. By and by, I overheard the "conductor" (the barker) shouting ,"PHILSUCOM", is a government agency for sugar breeding and experimentation located at the entrance of Barrio La Granja. I pleaded to stop the vehicle and got off, thinking that this place was near the Barrio Site. To my dismay, it was about 300 kilometers away more to reach the said place. Well, I had no choice for I'm stranger to the place, besides the passenger car was so scarce at that time, so I had to walk. While I was walking, I met a fellow older than me and asked him where is the Barrio Site. He courteously replied that he knew the place. He told me that he was also going there for it's where he reside. I told him that I was looking for Rebecca Demabildo. He said that I knew her house. I was relieved of trouble. Since I was overcome with my shyness, I didn't bother to ask his name. It was past 8:00 in the morning when we arrived at Rebecca's house, along the high way at the corner street of Barrio Site facing south. We crossed the small improvised bamboo bridge leading to the house and passed by to a well-planted and fully-gloomed garden of African daisys. The gentleman went ahead of me and kept on shouting, "Tag-balay? Tag-balay?" (Is anybody home? Is anybody home?) By and by, a woman came out and accosted the man. I overheard the man saying, "May nagapangita kay Rebing." (Somebody is looking for Rebing.) The woman called up Rebing. Rebing came out still in her duster dress. She recognized me and gave me a sign to come over then she thanked the man. Then the man left and told me, "Bahala ka na da." (Take care of yourself.) I replied thank you. Before I went inside the house, Rebing told me that she was surprised to see me. She thought that the last time we saw each other in high school campus I was only joking to visit her, and that's why she wasn't ready to welcome me. She led me to a stair going to their sala where the visitor is settled. I grabbed the wooden-rattan chair and felt myself at home. She left me for a moment. When she got back, she's already in her casual dress, wearing a navy blue skirt high school uniform which she wore when she was still student in St. Vincent Catholic High School in La Castellana. I was expecting that her parents and siblings were going out to welcome me, but nobody came out. We chatted for 2 hours. She offered me boiled camote with margarine as toppings. I noticed that it's almost lunch time so I've to go home now. I bid her goodbye and prepared to go. She accompanied me near the road. Almost an hour I waited for a passenger car, but not one arrived. I kept on waiting. I noticed her that she kept herself busy in tending some of the daisys. Finally, a car arrived. Before I got in, she hurriedly handed me three sticks of African daisies which I also received and thanked her. Upon reaching home, I told my mother about it and she said to place them in our small altar of St. Vincent inside our sleeping room. I neatly placed them there with a happy feeling, with a thought of thanksgiving and the rest was a beautiful, realistic, unforgettable love story. 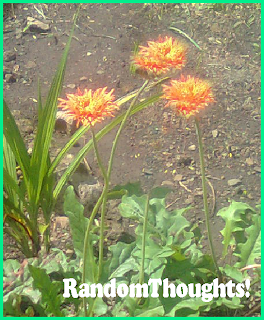 Why Rebing has given me that the three flowers? Three daisys? What does it mean? Note: Later I learned from her that the man who served as my guide was Edmund, one of her main suitors before we knew each other. That was an amazing love story. This kind of story is what I want to read. A kind of story that relives the past. A kind of story that brings you back to yesteryears as if you were part of it. By reading it, I remember how my grand parents met and fell in love as relayed to me by my lola years back. :) Wait, I think that is worth blogging for also. Hopefully! Great love story and great post! :) Cheers! a great love story sir. Very interesting I even read it until the end. Your love is truly exceptional. Such a sweet love story. I am amazed with every single detail you remembered about it :) I wish to remember my own love story to tell to my grandchildren too! Every time I read your story about ur wife po, it makes me so "kilig" hehehe! The heart always remembers . Very cute. I wish simple love stories like this still exists. I like old love stories. Ngayon kasi, iba na. Puro social networking at texting. Iba yung "adventure" ng old love stories. It is always a nice read when you bumped into an old school love story and all the waiting and anticipating what will happen. I hope our young generation will also learned that there are other ways to court a girl other than texting and/or through social networking. Wow ang sweet naman! I love how people took much effort and adventure in courting a girl. On our generation today halos wala na atang ganito magcourt... the essence of waiting for the girl's response and "panunuyo" ay nawawala na.. geez halos lahat na tlga text and social networking. reading your post makes me remember the beauty of love and the way of courting before. I do hope that the young people of today could also feel the same joy of courting. I wish courtship will be the same as it was then. Nowadays, it's just usually a couple of texts and phone calls then kids will be "in a relationship" already. Yours is truly a lovely story! Thank you very much for sharing. What a beautiful love story about 3 daisy flowers. The man served as your guide maybe a sporty guy and your rival suitor, right sir? This is sweet. This should be read by teens so they know the idea of courtship. So what did the daisies mean? Awww...what a sweet story! I gotta admit, I'm a sucker for a good love story! Touchy! Kilig to the bones. I really wanted for boys to have more effort in courting girls.